American Honda Motor Company, Incorporated, recently announced its plan to create the Honda Smart Home US, a showcase for environmental innovation and renewable-energy-enabling technologies that demonstrates Honda’s vision for sustainable, zero carbon living and personal mobility, including the use of solar power to charge a Honda Fit EV battery electric vehicle. A groundbreaking in late April at a site in the UC Davis West Village development marked the start of construction, which will be documented and shared through the Honda Smart Home US web site. The home’s designers envision a lifestyle of renewable energy for home and transportation. The Honda Smart Home will feature new and emerging technologies that will greatly reduce the amount of energy consumed by individual households, and will fully integrate electric vehicles into the home. The hi-tech sustainable home plans to meet the state of California’s goal of requiring all new residential construction to be net zero energy by 2020. It is expected to produce more energy than it consumes, using less than half as much energy for heating, cooling, and lighting as a similarly sized new home in the Davis area. The Honda Smart Home will also give its occupants complete control over all home systems, allowing them to monitor and adjust all aspects of energy use remotely, continually, and in real time. Following are a few of the many technologies that the Smart Home will feature. Solar power system. A PV system will provide the energy for the home and for daily commuting in an all-electric vehicle, such as the Honda Fit EV. The net zero energy home will generate, on average, more electricity from on-site renewable power sources than it will receive from its electric utility provider. Honda Energy Management System. The Honda Energy Management System introduces a smart-grid technology that will actively manage energy use and communicate with the homeowner and utility provider to maximize energy efficiency while responding to the needs of the electrical grid. This will minimize the impacts of solar generation and electric vehicle charging on the grid. High-efficiency HVAC and lighting systems. UC Davis energy research centers will design high-efficiency, cost-effective ways to reduce home energy loads. UC Davis researchers will explore new methods of geothermal heating and cooling, and will design a new circadian color control logic LED lighting system to improve quality of life while reducing energy consumption. Direct PV-to-vehicle charging. Direct PV-to-electric vehicle DC battery charging will substantially improve charging efficiency by reducing losses associated with DC-to-AC and AC-to-DC conversion. PV-to-EV charging will decrease CO2 emitted over the life of an electric vehicle by eliminating the carbon associated with grid electricity production. Green certification. The home will be designed to achieve top-level green building certifications from the major U.S. rating systems. Taking a holistic approach to sustainability, the home will feature passive-design elements as well as novel materials to further reduce CO2 emissions from the production of building materials and the construction and operation of the home. Honda anticipates that the Smart Home will be completed by the end of 2013. The home will be leased to a tenant associated with UC Davis; further details have not been finalized. Visit the Honda Smart Home web site. In 2012, Honda unveiled the Honda Smart Home System (HSHS) in the city of Saitama, Japan. The HSHS project includes two homes: One is a demonstration-only home, while the other serves as a residence for Honda employees. Both homes feature comprehensive controls that regulate in-house energy supply and demand. Thanks to a recent collaboration between ASHRAE and BirdDog—a recruitment and applicant tracking software provider for the construction, specialty trades, engineering, and facilities industries—members of ASHRAE now have an expanded jobs board. The expanded ASHRAE job board will make it easier for employers to fill built-environment technology positions, and will provide ASHRAE members with more opportunities to find jobs. 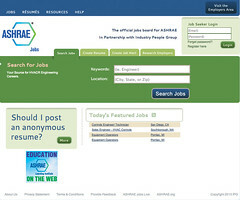 The ASHRAE jobs site (Ashraejobs.com) specifically allows employers looking to hire ASHRAE members to post their listings throughout the BirdDog family of job boards, and will also ensure that all ASHRAE members have the opportunity to see the job posting. ASHRAE members—totaling 54,000 worldwide—are the global leaders of building technology. To qualify as a full ASHRAE member, candidates must demonstrate a minimum of 12 years of professional experience in the industry. This announcement comes at a time when employers are reporting difficulty finding qualified candidates for open positions. Learn more about ASHRAE and its members. Tamasin Sterner, founder of Pure Energy Coach. For 25 years, the Lancaster, Pennsylvania-based Pure Energy team has taken every opportunity to empower people to gain knowledge and make choices to preserve their family’s health and well-being, and to minimize their energy expenses and their impact on the environment. Pure Energy has been in 50,000 homes performing quality assurance inspections and energy audits through contracts with utility programs, serving mostly low-income families. Founder and Chief Coach A. Tamasin Sterner has mined this depth of experience to create a consistent and efficient business model, which has been adopted by her peers industrywide and nationwide. A nationally recognized leader in the home performance and home improvement industry, Sterner is one of five experts (and the sole woman) summoned to meet with and advise President Obama on developing business opportunities in the field of energy efficiency. Sterner was unanimously chosen by her peers to receive the Tony Woods Award for Excellence in Advancing the Home Performance Industry for her years promoting understanding of, and knowledge about, home performance through quality assurance, coaching, mentoring, consulting, and building inspection. 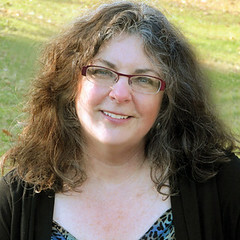 Recognized as an expert on the subject of home performance, she has addressed DOE, written countless informative pieces, and reviewed test questions for BPI certification. Pure Energy Coach is a BPI Test Center and offers 50 courses in professional development geared to both individuals and groups. Visit Pure Energy’s web site. To mark this anniversary, Pure Energy expressed gratitude for partners in a thank-you video, redesigned and expanded its newsletter and course offerings, and streamlined its web site, where the video, newsletter, course descriptions, and an abundance of information can be found. The American Council for an Energy-Efficient Economy (ACEEE), a nonprofit research group based in Washington, D.C., honors America’s leading energy efficiency programs with a series of national awards. This year, three of the awards went to the New York State Energy Research and Development Authority’s On-Bill Recovery Financing, New Construction, and Existing Facilities programs, all of which were designated as exemplary.NYSERDA’s accomplishments were recognized at an awards ceremony in Washington, D.C., in mid-April. Programs selected for this honor were judged to be especially noteworthy for their effectiveness and innovation in helping customers achieve greater levels of energy efficiency in their homes, businesses, and industries. “These programs are delivering energy savings that are critical in helping customers reduce their energy costs, plus they make an important environmental contribution by reducing pollution from the use of fossil fuels,” says ACEEE Utilities Program Director Dan York. Following are the highlights of the NYSERDA programs. On-Bill Recovery Financing program. This program, a signature part of Governor Andrew M. Cuomo’s Power NY Act of 2011, offers financing to homeowners, small businesses, not-for-profits, and owners of multifamily buildings for energy efficiency improvements through a charge on their utility bill. Launched in 2012, the program issued 530 residential loans totaling more than $5 million. These projects saved more than 434,000 kWh of electricity, the equivalent of powering 63 average-sized homes. New Construction program. This program provides technical support to design teams and financial incentives to building owners involved in the construction of new or substantially renovated energy-efficient structures in New York State. More than 1,500 new applications were received from 2010 to 2012. In the last full reporting period, from 2009 to 2011, the projected annual average program savings were 59.6 gigawatt hours (GWh) of electricity, the equivalent of powering more than 8,600 average-sized homes. The projected average annual demand reduction was 14.1 megawatts (MW). Existing Facilities program. This program offers a portfolio of incentive opportunities to offset the costs of energy improvements in existing commercial and institutional facilities across New York State. It works with customers to implement a comprehensive strategy to realize verified energy savings through an integrated approach to cost-effective energy efficiency measures. More than 6,000 customers participated in the program from 2009 to 2011, with annual average demand reduction and response of 98 MW and annual average savings of 143 GWh of electricity—the equivalent of powering more than 20,000 average-sized homes. See a full list of the honored programs. In addition to helping commercial and industrial companies become more energy efficient, both the New Construction program and the Existing Facilities program are active in Governor’s Cuomo’s Build Smart NY initiative to reduce energy consumption in state buildings by 20% over the next seven years. Figure 1. Energy bills reached their hightest levels in 1982. The U.S. Energy Information Administration (EIA) recently reported that consumers spent 2.7% of their household income on home energy bills last year, the lowest percentage in ten years. Aggregate home energy expenditures by U.S. households fell $12 billion in 2012 from the 2011 level. In 2012, prices for residential natural gas decreased 3% from the previous year, while household electricity prices stayed about the same. Warmer weather contributed to lower energy consumption in 2012, and because household energy expenditures reflect both prices and consumption, these changes resulted in lower household energy expenditures. In 2012, households spent an average total of $1,945 on heating, cooling, appliances, electronics, and lighting. This total includes home use of electricity, natural gas, fuel oil, propane, kerosene, wood, and coal but excludes fuels used for transportation. It also excludes other household utilities, such as water and telephone services. Using EIA projections for 2012 based on household data from the U.S. Census Bureau through 2010, the $1,945 represents 2.7% of household income for 2012, which is the lowest level since 2002. The percentage of household income spent on home energy bills peaked at 4.3% in 1982 and declined steadily until 1999, when it reached 2.4%—its lowest level since 1973. See Figure 1. Get more information and download the data used for this report. Additional data from the Bureau of Labor Statistics for 2012 show that household energy represents the eighth largest category of consumer expenditure. However, the percentage of expenditure for home energy varies across income levels. Households in the lowest 20% of income (before taxes) spend nearly 6% of that income on home energy bills, while households in the highest 20% of income spend less than 3% on home energy bills.